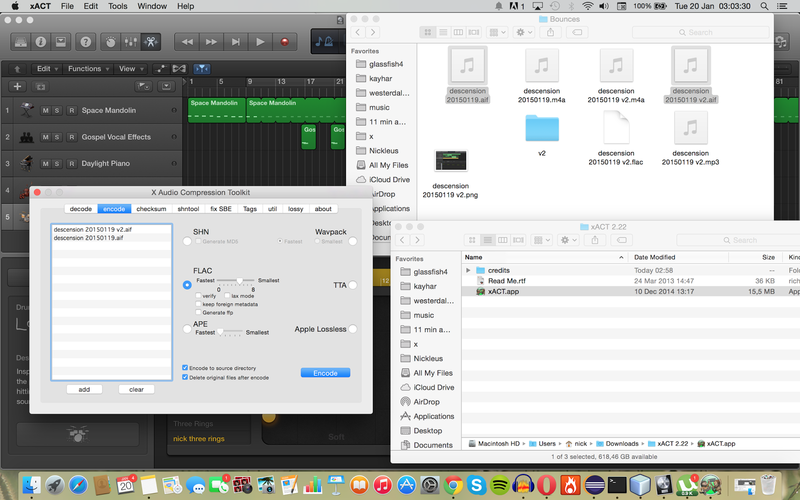 If you want to convert a folder of audio files (WAV, AIF, etc) on mac to e.g. FLAC, then install xACT. This makes my life easier when I publish samples on ccMixter. I export Regions or Tracks from Logic Pro X as wav, then open them all at once in xACT, then batch-convert them to FLAC because ccMixter wants users to upload files as FLAC. Please upload a preview in 128k MP3 and individual tracks as FLAC. Upload small samples as FLAC in a ZIP.